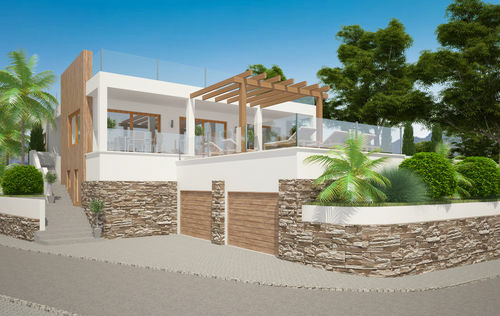 This modern and very stylish designed villa will be built in Portals Nous and enjoys a wonderful panoramic sea view. Set on a plot of approx. 1150m2, the villa has a living space of 230m2, several open and covered terraces, a well-kept garden as well as a fantastic infinity pool. The living area is divided into two floors. On the entrance level there is the living room with open fire place, a fully fitted kitchen with dining area, the master bedroom as well as two bedrooms and a bathroom. 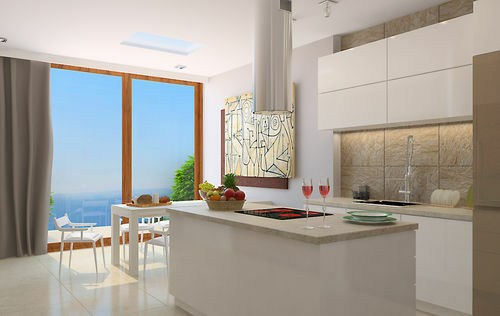 Nearly every room on this floor has an access to the superb sea view terrace, the fantastic pool area and the garden. On the lower level there is a guest apartment with separate entrance, a living- and bedroom area, a kitchenette and a bathroom. 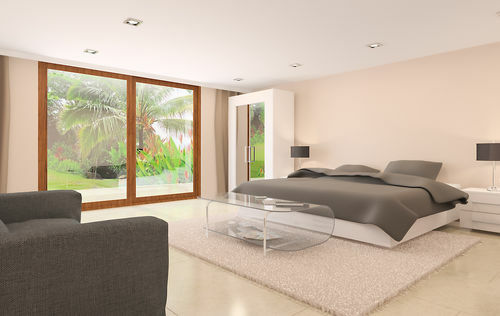 The property will be built to the highest standard. 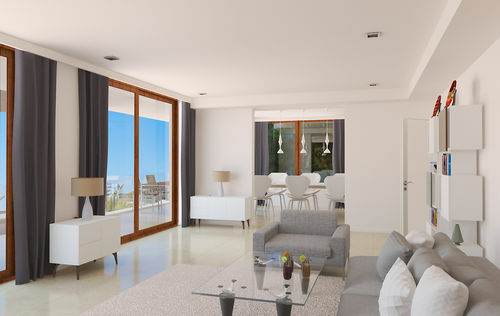 The features and fittings of this villa include reversible air condition, central heating, underfloor heating, double glazed windows, video intercom, alarm system, Jacuzzi, automatic garden irrigation system as well as a double garage. Very close located is the exclusive marina of Puerto Portals with its luxury yachts and exquisite restaurants and bars, the golf course Royal Bendinat as well as several beautiful sandy beaches. This is a construction project. The completion of the luxury villa is planned for the end of 2016.